The classic Swarovski 5000 faceted round crystal bead adds simple elegance to any design. This sparkling bead is one of Swarovski's most popular, and it's easy to see why. Each bead features a crystal clear hole with smooth edges to help protect the stringing material. Choose from dozens of colors and many different sizes to find just the right ones for your current project. Add timeless elegance to your designs with the Swarovski 5000 4mm faceted round in Crystal Rose Gold. Displaying a classic round shape and multiple facets, these beads can be added to any project for a burst of color. The simple yet elegant style makes this bead an excellent supply to have on hand, because you can use them nearly anywhere. This bead features a small size, so it is great for using as an accent in necklaces, bracelets and even earrings. 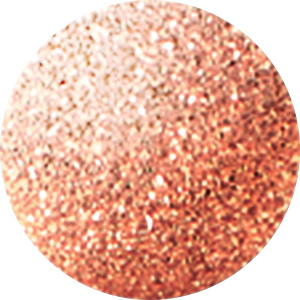 It features a vintage rose color with hints of gold sparkle. It is a shiny, mirror-like color full of metallic beauty. Contemporary beauty fills the Swarovski 5000 8mm faceted round in Pacific Opal. Displaying a classic round shape and multiple facets, these beads can be added to any project for a burst of sparkle. The simple yet elegant style makes this bead an excellent supply to have on hand, because you can use them nearly anywhere. 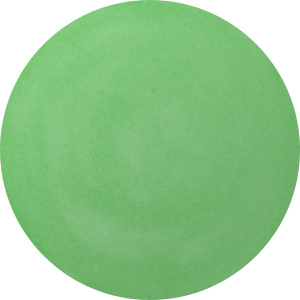 This bead features mint green color with hints of golden sparkle. Use it in matching necklace and bracelet sets. Add a distinctive sparkle to your designs with the Swarovski 5000 2mm faceted round in Crystal Silver Shade. This bead is extremely tiny and it features transparent crystal with just a hint of smoky color. This faceted round bead in Swarovski's 5000 style is the perfect accent or delicate spacer bead for your beaded jewelry creations. Use only Swarovski beads when you want to look your absolute best. This bead looks excellent in seed bead embroidery or weaving designs as a sparkling accent. With this 6mm faceted round Fern Green bead, Swarovski provides an innovative piece to add to your collection. This classic sparkling round bead features a luscious green color designed to evoke visions of soft ferns and shimmering meadows. At 6mm, it will work well for earrings, bracelets, and necklaces. Try this bead with silver leaf links to create a nature theme. Regal elegance fills this Swarovski crystal faceted round. Displaying a classic round shape and multiple facets, this bead can be added to any project for a burst of sparkle. The simple yet elegant style makes this bead an excellent supply to have on hand, because you can use it nearly anywhere. This bead is the perfect size for matching necklace and bracelet sets. It features a royal blue color. Displaying a classic round shape and multiple facets, this bead can be added to any project for a burst of sparkle. The simple yet elegant style makes this bead an excellent supply to have on hand, because you can use it nearly anywhere. This versatile bead features an icy purple sparkle. Displaying a classic round shape and multiple facets, this bead can be added to any project for a burst of sparkle. The simple yet elegant style makes this bead an excellent supply to have on hand, because you can use it nearly anywhere. 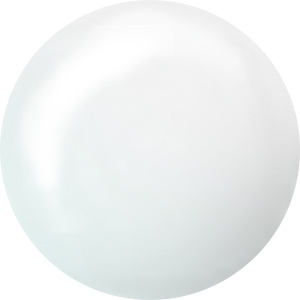 This bead features clear color with an iridescent coating applied two times. The AB 2X coating gives each bead a wonderful array of colors. Use only Swarovski beads when you want to look your absolute best. Dazzling style can be yours with this Swarovski crystal faceted round. Displaying a classic round shape and multiple facets, this bead can be added to any project for a burst of sparkle. The simple yet elegant style makes this bead an excellent supply to have on hand, because you can use it nearly anywhere. This bead is the perfect size for matching necklace and bracelet sets. It features a stunning clear color. Let dazzling color accent your designs with the Swarovski 5000 8mm faceted round in Indicolite AB Full Coat. Displaying a classic round shape and multiple facets, these beads can be added to any project for a burst of sparkle. The simple yet elegant style makes this bead an excellent supply to have on hand, because you can use them nearly anywhere. This bead features a full coating effect that creates a perfectly homogeneous, all around application of high-intensity effects. The AB effect is applied six times to create bright metallic color. This delicate coating works best in earrings and parts of designs that aren't easily scratched. This bold bead displays teal blue color with intense iridescence covering the whole bead. Accent designs with the sparkling color found in the Swarovski 5000 3mm faceted round in Crystal Paradise Shine. Displaying a classic round shape and multiple facets, these beads can be added to any project for a burst of sparkle. The simple yet elegant style makes this bead an excellent supply to have on hand, because you can use them nearly anywhere. This crystal features a gleaming blend of green, royal blue, purple and gold. It will put you in mind of a tropical paradise at dawn. This effect is plating resistant. Use this tiny bead as a pop of color in earrings or as a spacer in other designs. This 6mm faceted round crystal bead from Swarovski is an excellent way to add sparkle to your beaded jewelry creations. This clear crystal bead can be used in designs with elaborate color or as an accent near your favorite metal components. Its size is great for bracelets, anklets or earrings. You can even make a matching set. Create something elegant with this Swarovski crystal faceted round. Displaying a classic round shape and multiple facets, this bead can be added to any project for a burst of sparkle. The simple yet elegant style makes this bead an excellent supply to have on hand, because you can use it nearly anywhere. 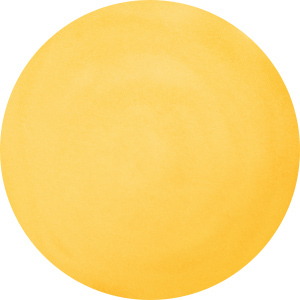 This bead is versatile in size, so use it in necklaces, bracelets, and earrings. It features an opalescent white color with streaks of gold. This Swarovski faceted round bead is a timeless choice for any design. This perfectly faceted treasure comes from Austria and sparkles like only Swarovski can. If you are looking to add some extra dazzle to your jewelry creations or home decor, think Swarovski. This crystal features a dark and mysterious blue color. It is versatile in size, so you can use it anywhere. You can give any design a touch of sparkle with this Swarovski 5000 2mm faceted round in Crystal Golden Shadow. This small bead features a golden color with a smoky shade to it. This particular cut of crystal complements the color perfectly. This perfectly faceted treasure from Austria sparkles like only Swarovski can. This bead looks excellent in seed bead embroidery or weaving designs as a sparkling accent. Brighten up your style with the Swarovski 5000 3mm faceted round in Crystal Metallic Sunshine. Displaying a classic round shape and multiple facets, these beads can be added to any project for a burst of sparkle. The simple yet elegant style makes this bead an excellent supply to have on hand, because you can use them nearly anywhere. This small bead would make an excellent spacer or accent in bead embroidery. 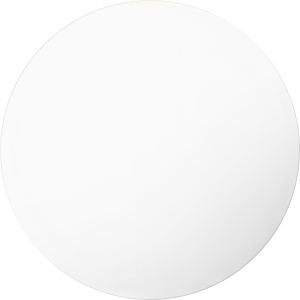 This crystal features a semi-transparent classic gold shade. 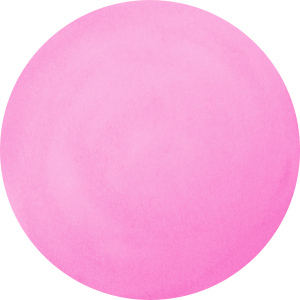 In some cases, a slight pink hue can appear due to the layer composition of the effect. Please note that this effect is not plating resistant. 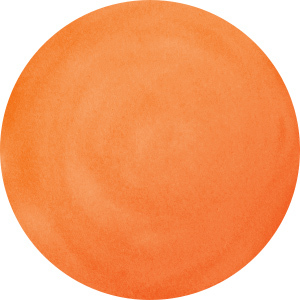 Accent your jewelry designs with warm beauty using this Swarovski 5000 3mm faceted round in Tangerine. Displaying a classic round shape and multiple facets, these beads can be added to any project for a burst of sparkle. The simple yet elegant style makes this bead an excellent supply to have on hand, because you can use them nearly anywhere. This shimmering smolder of orange color is inspired by romantic sunsets and joyful sunrises. Displaying a classic round shape and multiple facets, this bead can be added to any project for a burst of sparkle. The simple yet elegant style makes this bead an excellent supply to have on hand, because you can use it nearly anywhere. This small bead features a rich purple color with an iridescent finish that adds rainbow tones. Daring style fills this Swarovski crystal faceted round. Displaying a classic round shape and multiple facets, this bead can be added to any project for a burst of sparkle. The simple yet elegant style makes this bead an excellent supply to have on hand, because you can use it nearly anywhere. This bead is tiny in size, so use it as a spacer or as an accent in bead embroidery. It features dark red color that will add drama to your style. Enhance your style with sparkle using this Swarovski crystal faceted round. Displaying a classic round shape and multiple facets, this bead can be added to any project for a burst of sparkle. The simple yet elegant style makes this bead an excellent supply to have on hand, because you can use it nearly anywhere. This bead is bold in size, so use it in long necklace strands, chunky bracelet styles, and more. It features a dazzling clear color that will work with any color palette. Displaying a classic round shape and multiple facets, this bead can be added to any project for a burst of sparkle. The simple yet elegant style makes this bead an excellent supply to have on hand, because you can use it nearly anywhere. This small bead features a rich burgundy gleam that will add elegance to your style. Add a touch of icy brilliance with the Swarovski 5000 2mm faceted round in Crystal Moonlight. This bead shines with the crystalline light of a full moon. This faceted round bead in Swarovski's 5000 style is the perfect accent or delicate spacer bead for your beaded jewelry creations. Use it in your seed bead embroidery or weaving projects for a dash of magnificent sparkle. Use only Swarovski beads when you want to look your absolute best.